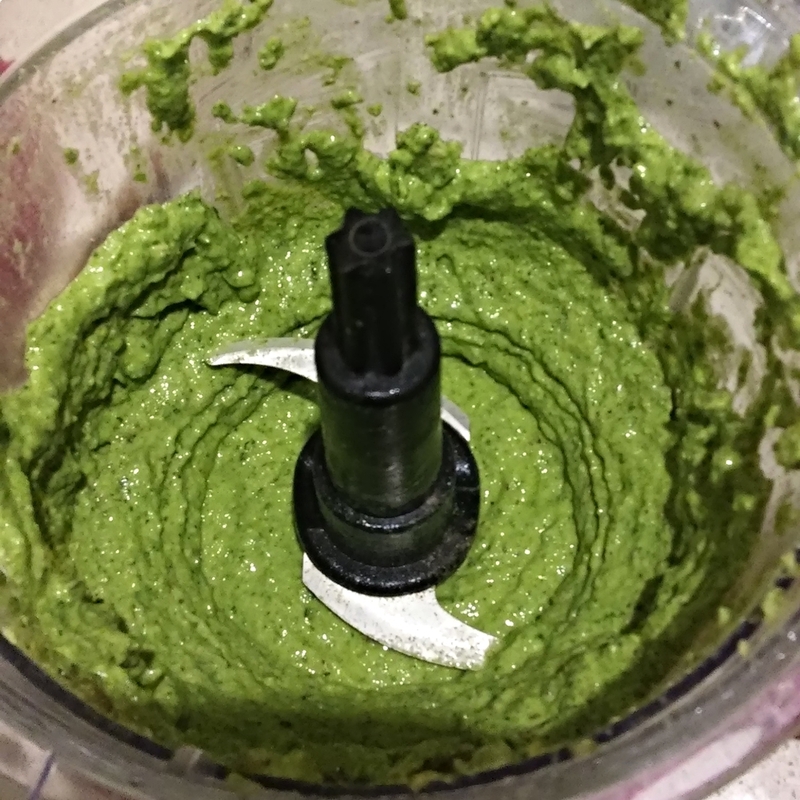 I fancied making some pesto myself, rather than, relying on the ready-made stuff. So I had a look at a few recipes and got creative. This recipe makes enough for 4 servings with pasta. If you're going to keep the pesto to use later, drizzle some olive oil over it to keep it green. I boiled some spaghetti and put a generous amount of pesto on top of it. I did this so that I could take the amount of spaghetti and pesto that I wanted, rather than, mixing it all together. The avocado makes the pesto creamy. Many recipes say that any nuts can be used. The olives gave it a subtle flavour. Adding 1 chilli wasn't enough to make it even near 'hot' but it complimented it. The nutritional yeast is considered to be a replacement for parmesan. Did you like this recipe? Want to read others like it? Click here to receive Plant Shift's monthly newsletter.